1. 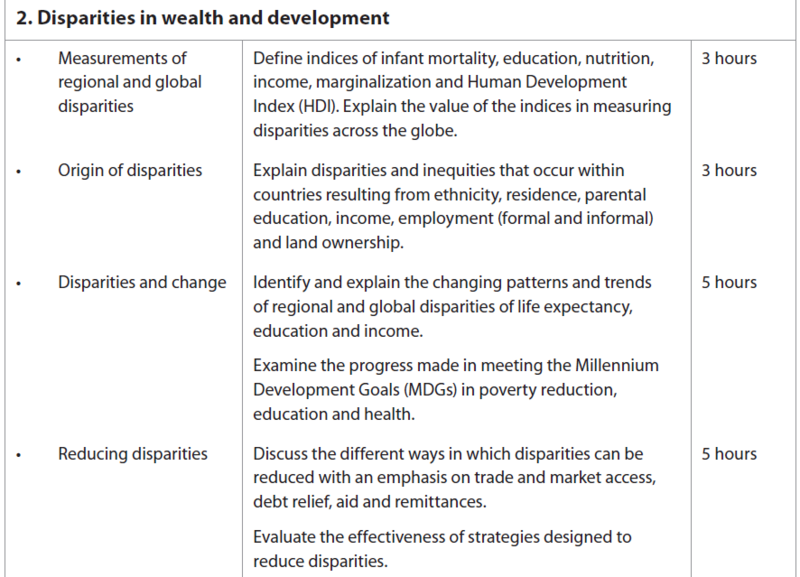 Measurements of Regional and global disparities. Poverty in our local community. ﻿Development: the use of resources to improve the quality of life in a country. 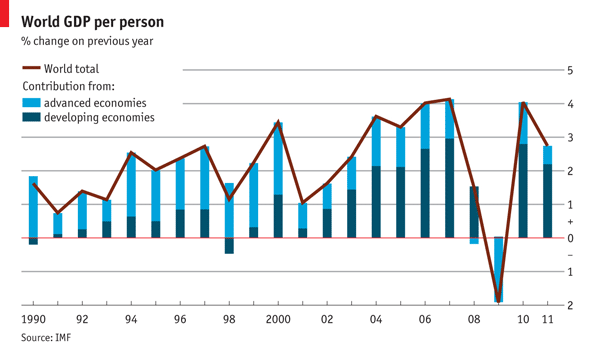 ﻿Gross Domestic Product (GDP): the total value of goods and services produced in a country in a year. Purchasing Power Parity (PPP): the conversion of a figure such as GDP into US dollars based on the value of money in that country. It takes into account cost of living. 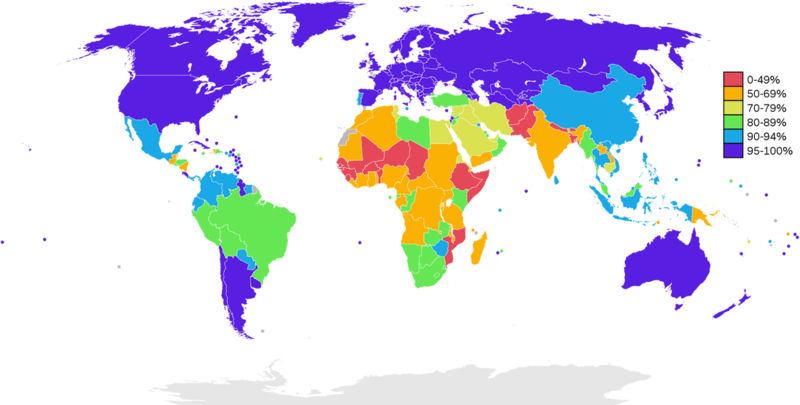 Adult literacy rate: the percentage of the adult population with basic reading and writing. Malnutrition: the condition that develops when the body does not get the right amount of the vitamins, minerals and other nutrients it needs to maintain healthy tissues and organ function. ﻿Per Capita: per person e.g. 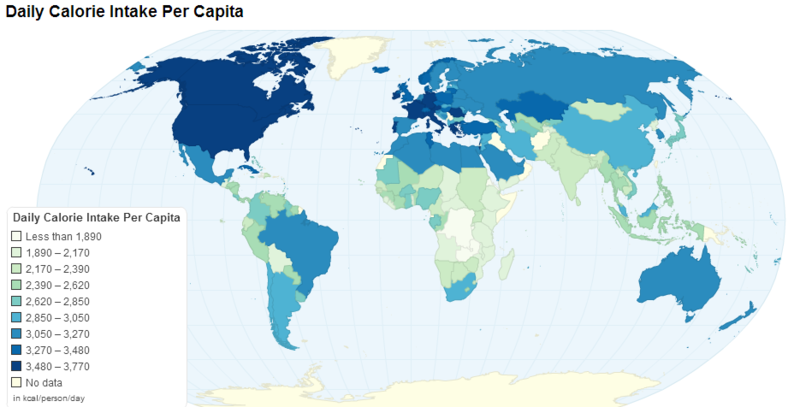 GDP per capita is the total GDP divided amounts the population of that country. Development gap: the difference in income and quality of life in general between the richest and the poorest countries sin the world. Human Development Index (HDI): a measure of development which combines three important aspects of human well being: Life expectancy, Education and Income. Newly industrialized countries (NICs): countries that have undergone rapid and successful industrialization since the 1960s. Infant mortality rate: the number of deaths of children under one year of age per 1000 live births. Make notes on the causes of infant mortality rate and describe the global trend. It is hard to establish accurate figures for newborn mortality rates because many early deaths go unreported or are wrongly classified, so these statistics are an estimation.Neonatal mortality has been declining worldwide. The number of deaths among babies in the first 28 days of life decreased from 4.4 million in 1990 to 3.1 million in 2010. There was also a 28% reduction in newborn mortality rates (NMRs) over the same period of time, from an estimated 32 deaths per 1,000 live births to 23 deaths per 1,000 live births. 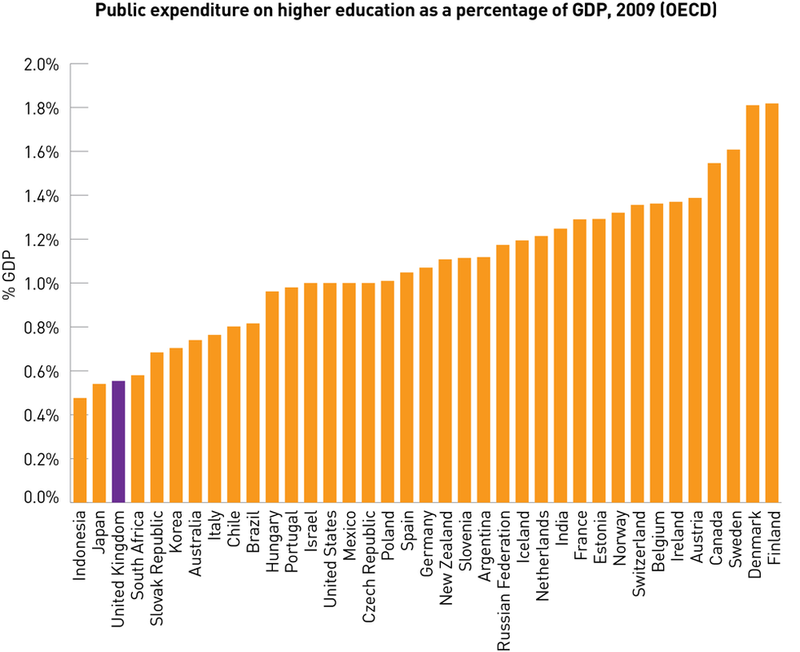 But progress is slow and unequal in different countries. A child's risk of dying is highest in the first 28 days of life – the neonatal period. 6.9 million children under the age of five died in 2011, and 43% of these deaths occurred during the first 28 days of life. Children in sub-Saharan Africa are about 16.5 times more likely to die before the age of five than children in developed regions. In low-income countries, one child out of every 10 dies before the age of five, whereas in wealthier nations, this number is only one out of 143. Children who have lost their mothers are up to 10 times more likely to die prematurely than those who haven’t. Approximately 380 people die from measles-related complications each day, most of them are children under five. In Africa, one child dies from malaria every minute. The global under-five mortality rate has dropped from 87 deaths per 1,000 live births in 1990 to 51 in 2011 but this is not sufficient to reach the MDG4 target of a two-thirds reduction of 1990 mortality levels by the year 2015. Female education is one of the World Bank's largest aims and the UN sees education as the vital in its efforts of achieving sustainable development. Discuss the following two sets of data. What patterns can you see in the world? 50 million women or 40% of pregnant women in developing countries are anemic. World bank data on the precentage of population that is undernourished per country. The HDI calculations score all countries between 0 and 1. The map below shows that according to HDI the most developed countries are in Western Europe North America and Australia while the least developed countries are in Central Africa. HDI is what is known as a composite measure. This simply mean that more than one variable is taken into account, for HDI three variables are looked at. It can be harder to collect all the data for composite measures, but they do give a more complete and accurate picture of a country's are area's development. Examine the HDI data from the UNPD Compare the graphs and describe the distribution on the map. Countrywide statistics disguise intra-country variations. For example if you look at the map below, the east of China is a lot richer than the west, but if you looked at China's overall GDP you would not know this. In many countries data is inaccurate or incomplete. Some countries also refuse to release certain pieces of information or data. Most development indicators (with the exception of HDI) focus on only one aspect of development. Most indicators use averages and tend to neglect or highlight the sectors of the population that are marginalised. Indicators are always out of date. Once information has been collected, analysed, presented and published a lot of things can have changed either for the better or worse. Development indicators can be manipulated, used or ignored to suit peoples needs. One indicator may suggest an area is developed while another may suggest an area is undeveloped. Project:Define and examine the spatial distribution of indices of infant mortality, education, nutrition, income and HDI. Explain what these indexes show. The task is to make a YouTube or a short video (maximum 5 min) examining the five sets of data and looking at their world distribution and discussing it. How you create this you will need to screen capture the interactive map as you navigate around it and then record audio explaining what we can see and give a few reasons why. There are many methods to accomplish this. Gini Coefficient: a statistical technique used to show the extent of income inequality in a country. With values between 0 and 1, a low value indicates a more equal income distribution while a high value means more unequal income distribution. Cumulative causation: the process whereby a significant increase in economic growth can lead to even more growth as more money circulates in the economy. Slum: a heavily populated urban area characterized by substandard housing and squalor. ﻿Urbanisation of poverty: the gradual shift of global poverty from rural to urban areas with increasing urbanisation. 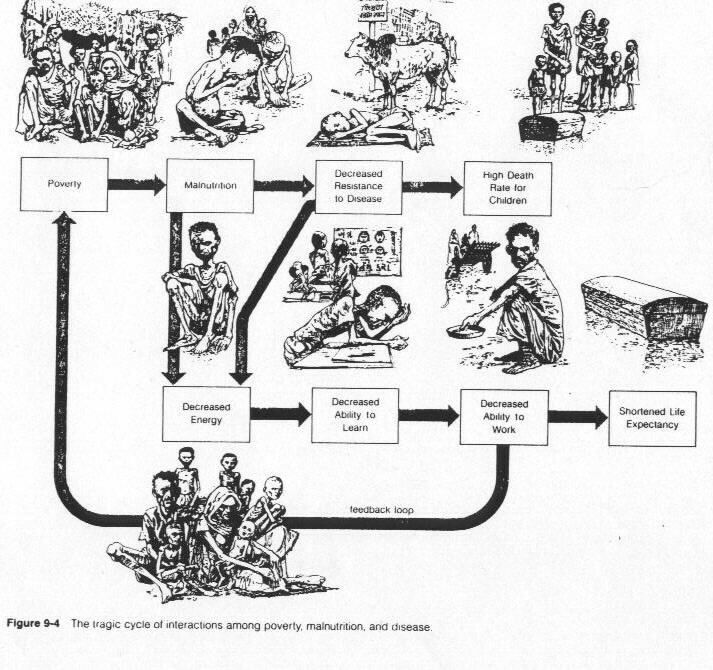 Indigenous population: people descending fro the original ethnic groups to populate a country. Other ethnic groups migrating to that country at later period of time may come to dominate the indigenous population in various ways. Privatisation: the sale of state-owned assets to the private sector. Read through the BBC article on education and the the Global Post Article discuss and make some notes on how it can impact disparities. Introduction: Where is Zimbabwe and outline the history of Zimbabwe.? What is the situation like now in Zimbabwe. Give some statistics (these should cover the key areas of study)? Race problems between white farmers and black population. Outline if there any racial issues in Zimbabwe, do not just look for black and white differences but also tribal differences. Who owns the land in Zimbabwe? Are Zimbabwe's farmers winning? 10 years later. YouTube from 2013 indicating that Zimbabwe has started to recover. ﻿What was income like in 1998-2000 compared to now? Give an overview of the situation now. What is your assessment of the disparities present in Zimbabwe now? Modernisation theory: a deterministic approach based on the economic history of a number of developed countries. Distinct economic and social changes are required for a country to move from one stage to another. Dependency theory: blames the relative underdevelopment of the developing world on exploitation by the developed world, first through colonialism and then by the various elements of neocolonialism. World system theory: based on the history of the capitalist world economy. Countries fall into three economic levels, and can move from one level to another if their contribution to the world economy changes. Life expectancy at birth: the average number of years that a newborn baby is expected to live if the age-specific mortality rates effective at the year of birth apply throughout their lifetime. Extreme poverty: the most sever state of poverty with an inability to meet basic needs. It is now defined as living on less than $1.25 per day. 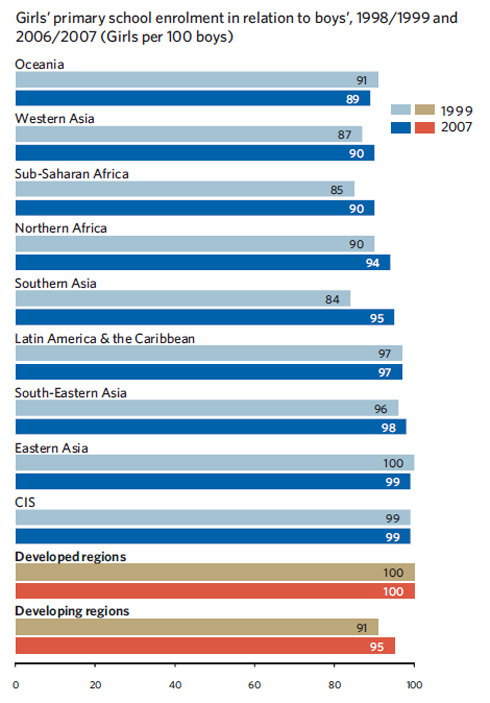 Maternal mortality rate: the annual number of deaths of women from pregnancy-related causes per 100 000 live births . Print presentation and make notes on how countries have developed and how this has influenced global disparities. What can increase life expectancy? Better education about diet, hygiene, etc. Gini index measures the extent to which the distribution of income or consumption expenditure among individuals or households within an economy deviates from a perfectly equal distribution. 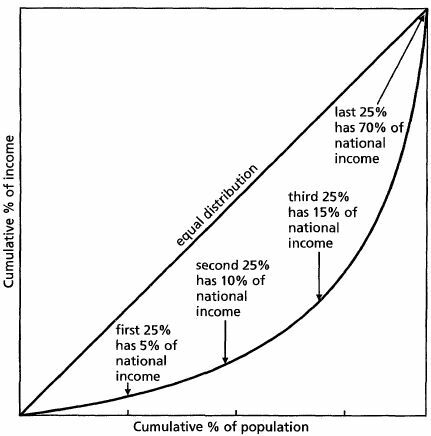 A Lorenz curve plots the cumulative percentages of total income received against the cumulative number of recipients, starting with the poorest individual or household. 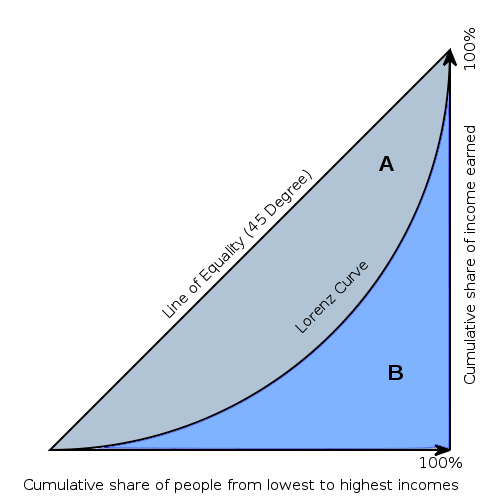 The Gini index measures the area between the Lorenz curve and a hypothetical line of absolute equality, expressed as a percentage of the maximum area under the line. Thus a Gini index of 0 represents perfect equality, while an index of 1 implies perfect inequality (sometimes this will be converted into a score out of 100). The graph shows that the Gini coefficient is equal to the area marked A divided by the sum of the areas markedA and B. that is, Gini = A / (A + B). It is also equal to 2*Adue to the fact that A + B = 0.5 (since the axes scale from 0 to 1). They understand the importance of health, diet and medicine. They will know how to prevent diseases e.g. HIV and malaria, how to remain fit and healthy by eating a good diet and how to cure diseases when sick. They have a better chance of getting a higher paid job. They have a better chance of being independent and not relying on a husband/wife, their family, community or country. The Millennium Development Goals (MDGs) were established following the Millennium Summit of the United Nations in 2000, following the adoption of the United Nations Millennium Declaration. All 189 United Nations member states at the time committed to help achieve the Millennium Development Goals by 2015. ﻿Have halted by 2015 and begun to reverse the spread of HIV/AIDS. 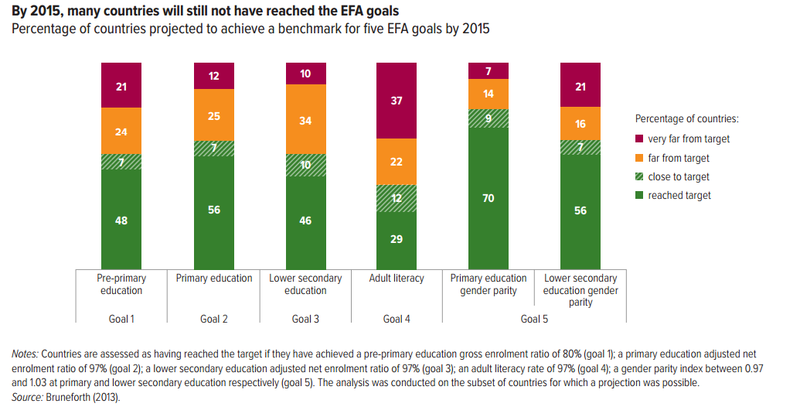 Where and to what degree will the targets be met? Which targets have not been met and why? What factors have made this target difficult to achieve? Give named examples of these. Look at the PDF document above and note down how successful they are and in which region. Who is living on less than $1.25 a day? Watch the two following YouTubes and sites to make notes on the varied regional successes of the MDGs and why certain areas are not meeting the goals. 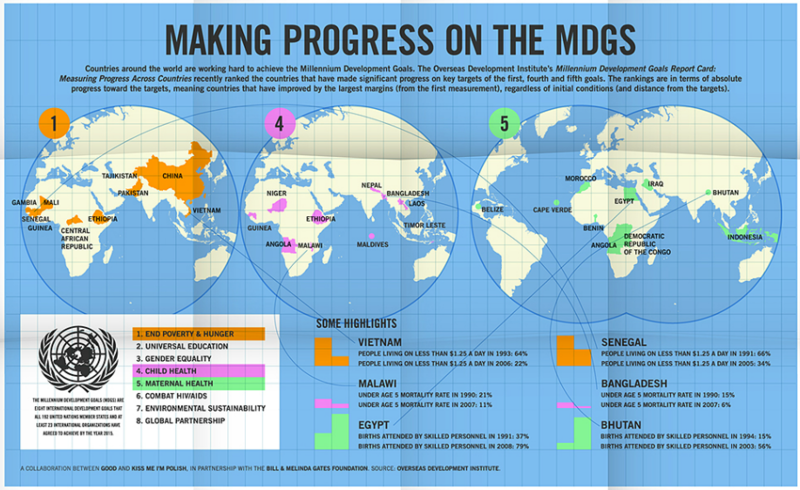 Debate the overall level of success in meeting the MDGs. Foreign direct investment: overseas investment in physical capital by transnational corporations. Non-governmental organisations (NGOs): national or international private organisations, which are distinct from governmental or intergovernmental agencies. Resource nationalisation: when a country decides to take part, or all, of one or a number of natural resources under state ownership. Terms of trade: the price of a country's exports relative to the price of its imports, and the changes that take place over time. Primary product dependent: countries that rely on one or a small range of primary products for most of their exports. Trade deficit: when the value of a country's exports is less than the value of its imports. Fair trade: when producers of food, and some nonfood products. in developing countries receive a fair deal when they are selling their products. International aid: the giving of resources (money, food, goods, technology etc) by one country or organisation to another poorer country. The objective is to improve the economy and quality of life in the poorer country. Appropriate technology: aid supplied by a donor country whereby the level of technology and the skills required to service it are properly suited to the conditions in the receiving country. Microcredit: tiny loans and financial services to help the poor, mostly women, start businesses and escape poverty. Social business: forms of business that seek to profit from investments that generate social improvements and serve a broader human development purpose. Fair trade - an examination of where the foods served in the school canteen originate from. This covers concepts also in HL Geography such as Food miles and glocalisation. The project could involve an awareness campaign aimed at the middle school (you could create a Youtube for example). It could also be included as part of a 'bake sale' using fair trade products, the funding of which could later be used for other CAS projects. After you have been placed in groups you will need to download your respective guidance sheet and complete all areas of the report. Your task is to create a detailed presentation for the rest of the class. Where does Aid money go? Why is foreign aid hurting Africa? 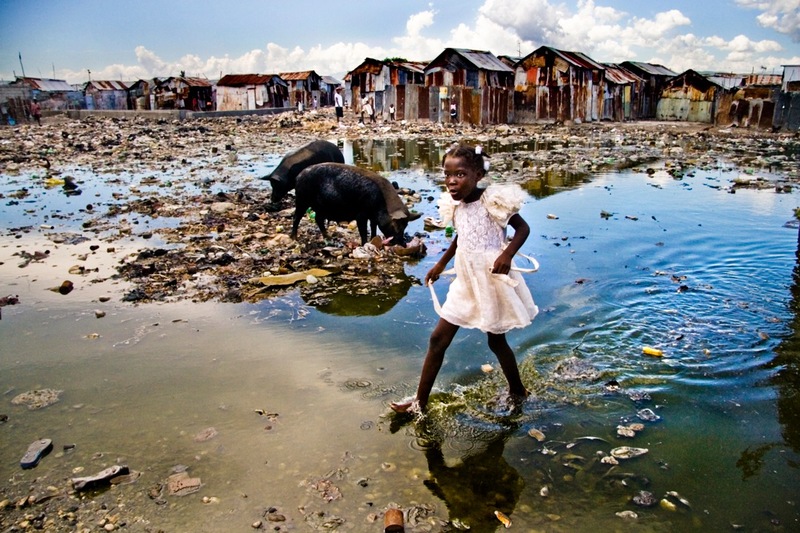 Four years after the Haiti earthquake, what have billions in US aid bought? Haiti earthquake: where is US aid money going? Brain drain. Usually the youngest, most educated and skilled choose to leave.